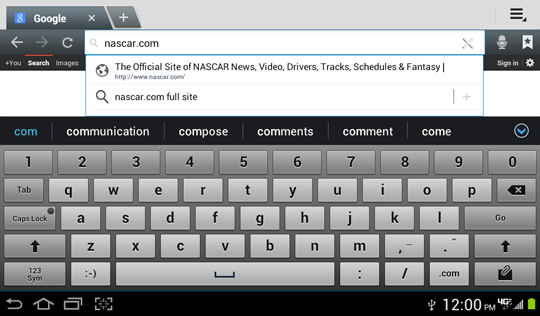 Select and momentarily hold the URL field (located at the top). 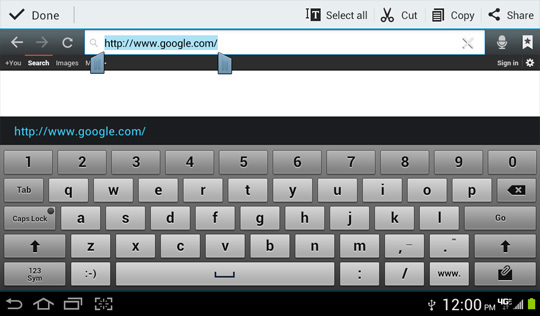 If necessary, swipe down to display the URL field. Enter the Website address (URL) then select Return (located in the lower right).